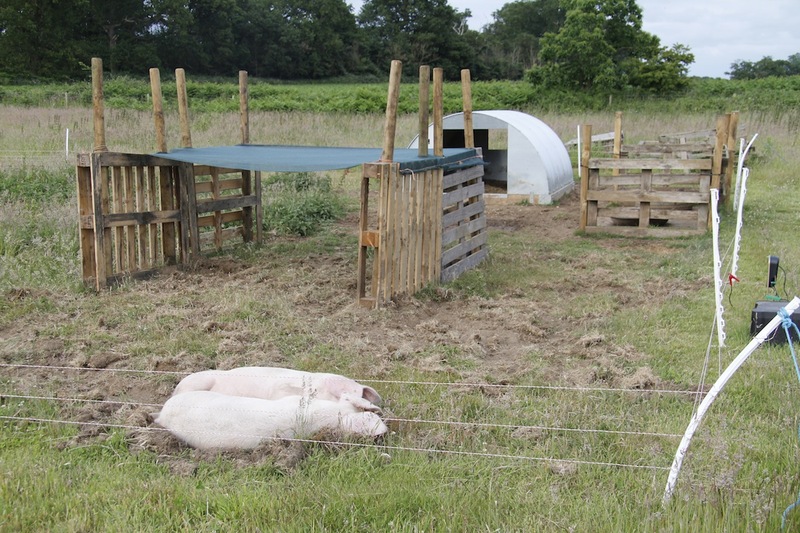 Last weekend James and some other members of pig club built the pigs some sun shelters. We don’t have many trees on our smallholding (although we are engaged in an ongoing program of tree planting – this year we planted hazel and oak trees infused with summer truffles – with any luck in 6 or so years we might be able to harvest our own truffles) – more to the point we don’t have any trees in the pig field but piggies need shade as they can get sun burnt – hence the sun shelter. They love it and most afternoons they take a siesta in the cool shade it provides – they really do have quite a good life. 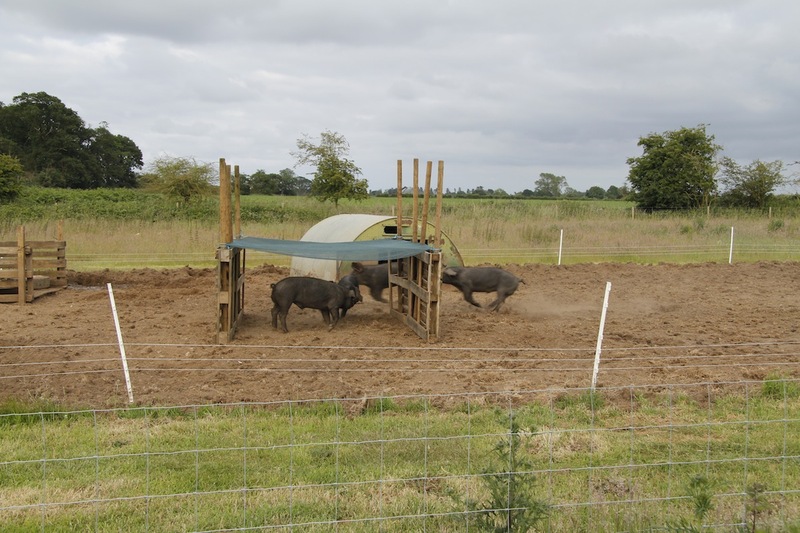 If you look carefully at this photo you can see that the piggies were involved in a highly energetic game of racing up and down their field – they were super cute. The Large Blacks have completely turned over their field. 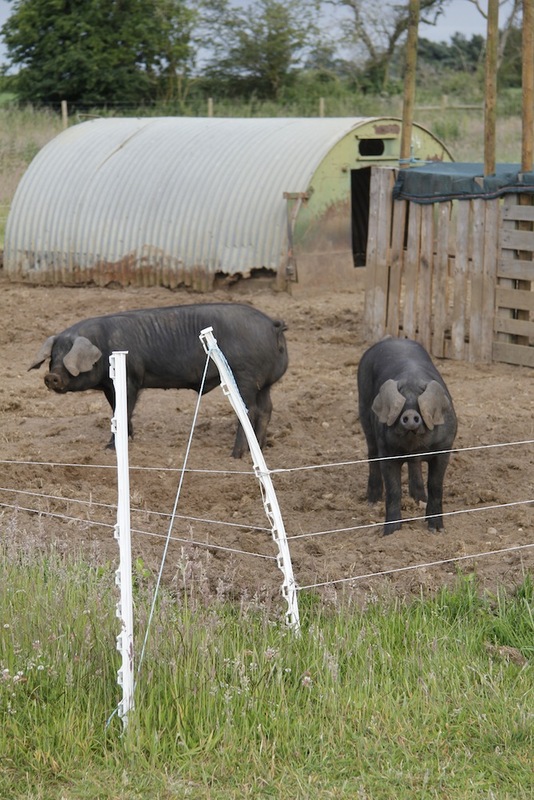 I read that they are among the most proficient pigs for turning pasture into protein and they have certainly munched through all the greenery here. I would eventually like to be able to set up a intensive managed rotational grazing regime like the people at Sugar Mountain Farm do, but for now we might just merge the Large Black enclosure with that of the British Lops and see what they make of the bracken and stinging nettles. 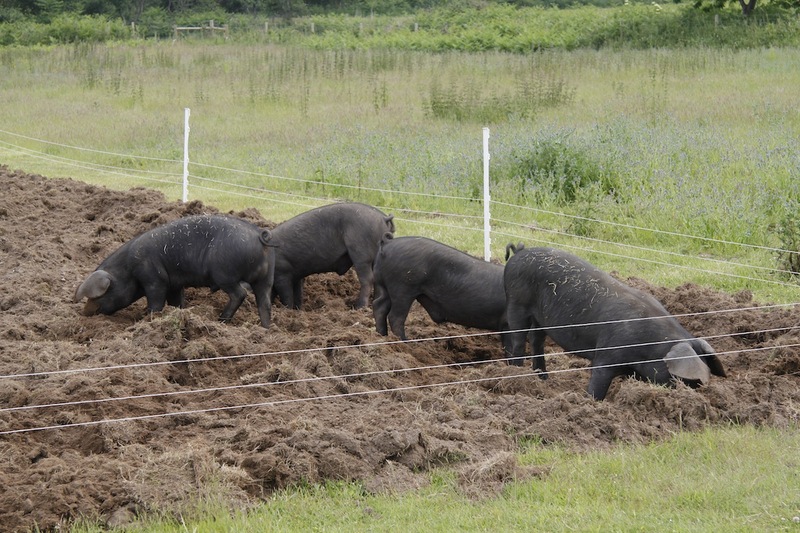 Having read this post by Walter I might try and sow the ground with a mixture of legumes and grass when the pigs leave so that it will provide some good pasture for pigs in future years. 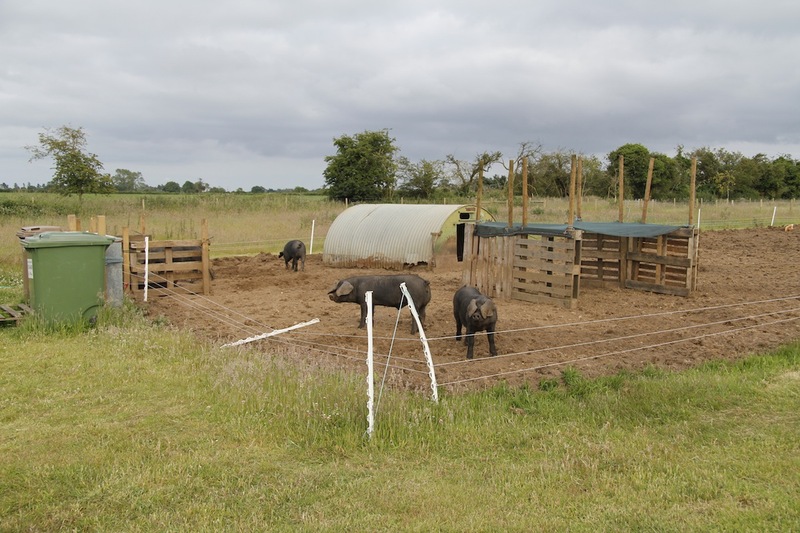 As I want to ultimately create a vegetable patch on the grassy area near our PV array we may keep some pigs there in the next year or two to rota-till the land for us! Of course the British Lops got a shelter too. The British Lops have started to put on weight and have recovered from the scour they had when they were younger – as you can see they don’t dig nearly as much.